One of Russia’s biggest industrial holdings Summa Group is actively expanding in the Russian Far East, with its head claiming the projects his company is offering will let Russia increase its transit potential by about 4%. 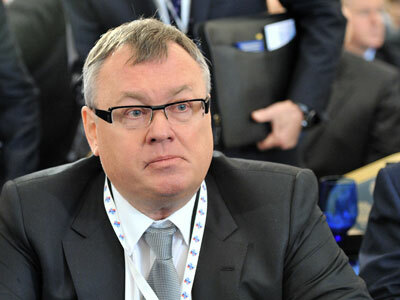 Summa Group’s chief -billionaire Ziyavudin Magomedov is representing Russia at the business summit of the APEC meeting in Vladivostok, along with Oleg Deripaska chief executive officer of the Basic Element company and Andrey Kostin, the head of VTB Bank. Summa owns a wide range of assets including sea ports, metal mines and transport infrastructure. As the global economic activity is shifting from the West to the East – businessmen around the globe are looking for ways to cash in. 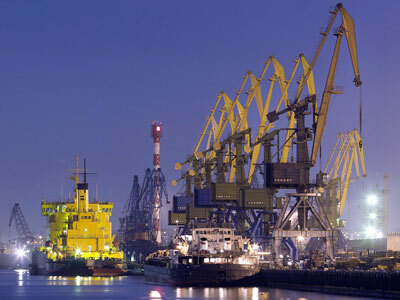 Russia’s unique bridge between Europe and Asia offers opportunities of a life-time for businesses. In an exclusive interview, he told RT he plans to profit on increasing Asian demand, focusing on commodities and transportation. “Russia will only be able to capitalize on its role of a so-called bridge between Europe and Asia if it improves infrastructure in the region. At the moment only one percent of all trade volumes between the two parts of the world go through Russia. It’s literally nothing. The projects we are offering to develop will let Russia increase its transit potential by about 4%”, he says. Ziyavudin Magomedov’s company will also contribute in the development of business in the region. “We started two huge Asia oriented projects in the Far East: we are building Coal and Grain terminals. We think that after the tsunami in Japan, demand for coal will rise as it will be (just like LNG) substituting for nuclear power stations. As for the grain terminal…Russia has enough grain – but last year, for example, it didn’t have enough export capacity”, he continues. 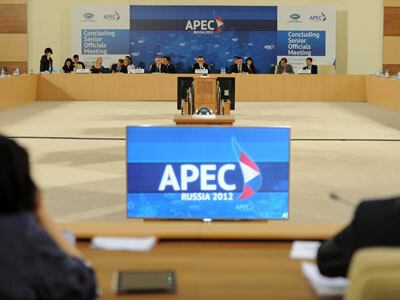 Ahead of the 3-day APEC summit where businessmen and politicians, scientists and students, will be pondering the most topical problems of the Asia-Pacific region, Magomedov says one of the problems Russian businesses are facing is tough competition from state monopolies.